While participating in the debate on the Motion of Thanks to the President’s address, Azad took a dig at Prime Minister Narendra Modi’s “New India” remark and said give us back our old India of Gandhiji. 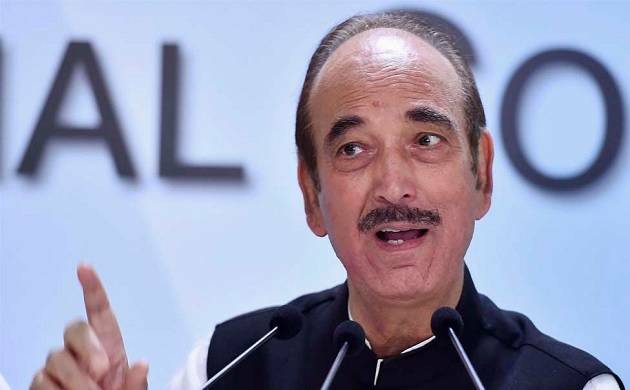 The Leader of Opposition Ghulam Nabi Azad on Monday said the phones of Opposition leaders are being tapped by the BJP-led NDA government and there is an atmosphere of “fear” in the country. “Businessmen are fearful of speaking to us on the phone because our phones are being tapped and they fear being targeted for having sided with the Opposition. When I was the chief minister of Jammu and Kashmir, we used to do that to terrorists,” Azad told Rajya Sabha. While participating in the debate on the Motion of Thanks to the President’s address, Azad took a dig at Prime Minister Narendra Modi’s “New India” remark. “Give us back our old India of Gandhiji, where Hindus and Muslims gave blood for each other, babies did not get raped and where there was no fear,” Azad said in the upper house. On Minister of State for Parliamentary Affairs Vijay Goel’s attempt to interrupt his speech, Azad reminded him (Goel) about former Prime Minister Atal Bihari Vajpayee, who had asked him (Azad) to teach parliamentary affairs to BJP leader Madan Lal Khurana. Azad said Goel could take lessons from Arun Jaitley, Leader of the House or he could teach him (Goel) Parliamentary Affairs. Prime Minister Narendra Modi was also present in the upper house during Ghulam Nabi Azad’s address.